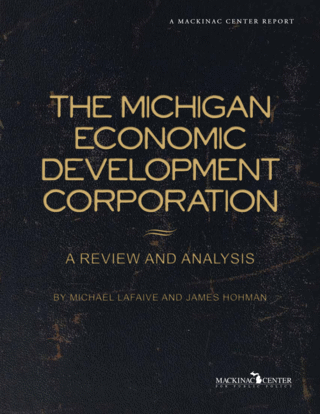 In fiscal 2009, the Michigan Legislature appropriated more than $2 million to fund the "Administration" line item, which includes 22 full-time equivalent (or "FTE") positions. Appropriations for this item finance, according to the Michigan House Fiscal Agency, "executive office support staff, financial services, office services, human resources, external relations, strategic initiatives, and [the] Michigan Economic Development Corporation (MEDC) policy office." Some administrative personnel, however, are compensated via the MEDC's corporate funds. Viola Bay Wild and Amber Fox, "Line Item and Boilerplate Summary: General Government," (Senate Fiscal Agency, 2008), http://house. michigan.gov/hfa/PDFs/line09gg.pdf (accessed August 30, 2009). "MEDC Organizational Chart," (Michigan Economic Development Corp., 2009).